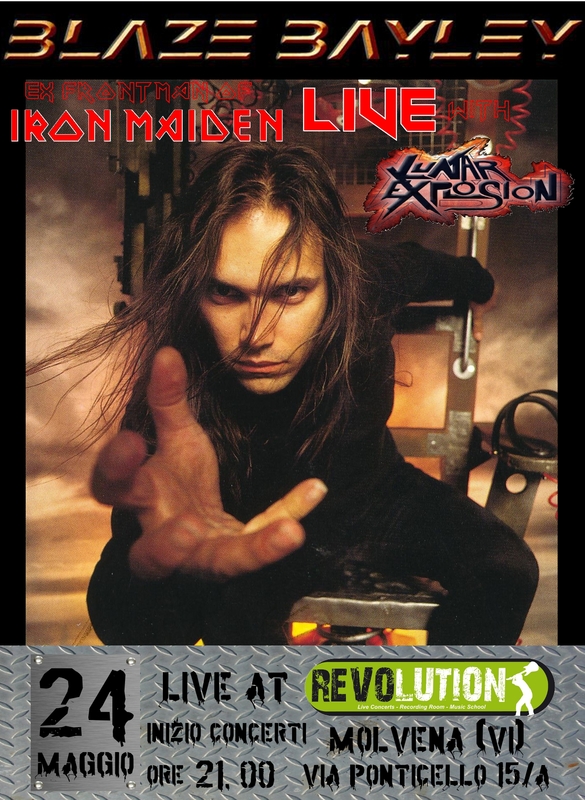 BLAZE BAYLEY, the ex-frontman of IRON MAIDEN, will play together with L.E.X in a unique concert on the 24th of May in Vicenza. The Italian band will play with Blaze the most important songs of his period with Maiden and other famous songs of the English band. This concert will be in Revolution club, Via Ponticello 15/a, Molvena (VI) Italy at 10:00 p.m.